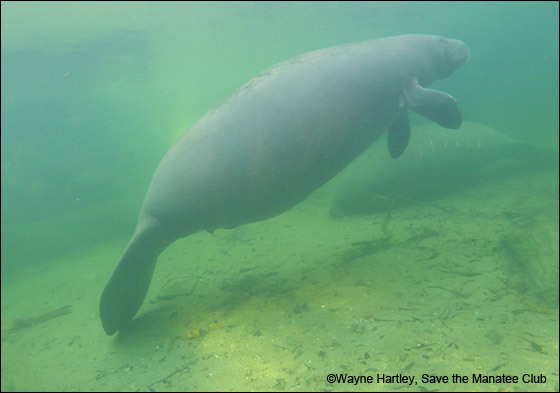 Manatee Specialist Wayne Hartley first observed that Amber was pregnant on November 23, 2016. 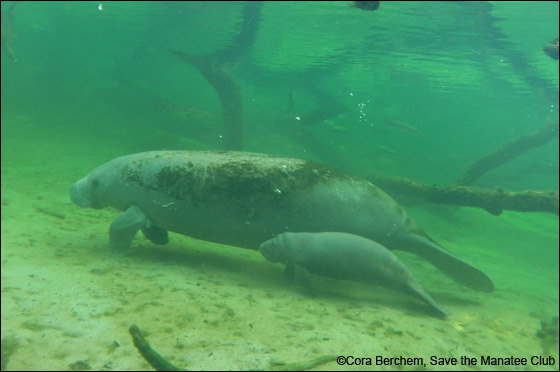 The first time Amber was seen with the little calf, presumed about 3 weeks old at the time, was April 1, 2017 at Blue Spring State Park by researchers from Sea to Shore Alliance. 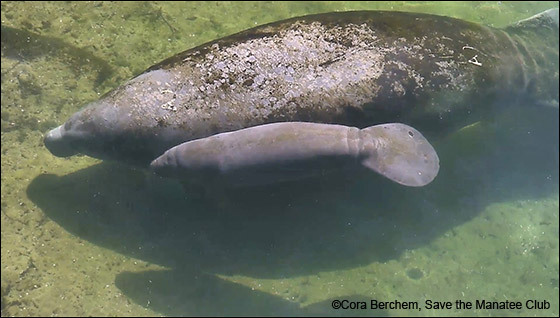 The pair was seen at Blue Spring State Park almost every day during April, either by observations in person by park or Save the Manatee Club staff, or on the above-water webcams. 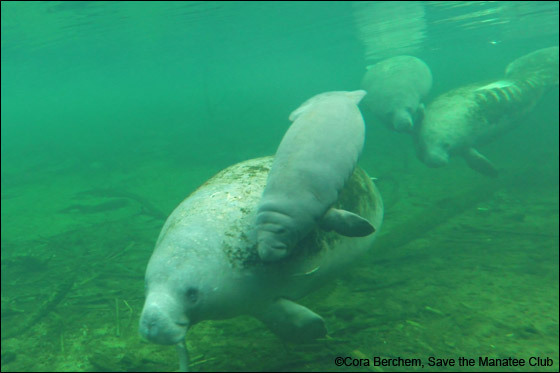 Amber is the daughter of Ann and twin sister of Amanda, both of whom are Blue Spring winter visitors.